Dealing with creditors is not something anyone wants to face, especially alone. Since your creditor holds all of the power of approving a debt negotiation or settlement agreement, you are essentially left living on the hope that they will help. Although it isn’t impossible to pursue credit negotiations on your own, many people find hiring a lawyer to be beneficial. The most obvious benefit of hiring a debt settlement lawyer is their legal status. Having a lawyer shows the creditor that you are not alone and that you are well represented if they decide to pursue court action or engage in abusive collection practices. Many creditors may be more willing to negotiate a deal outside of court simply because you have a lawyer on your side. 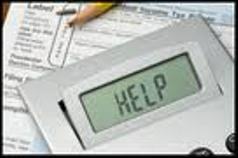 A debt settlement lawyer can also take the stress of dealing with creditors off of your shoulders. As your representative, they can mediate all negotiations on your behalf and field any collection notices. This makes your job much easier when pursuing all of your options to negotiate a debt relief plan. Further, a lawyer is well trained in all aspects of debt relief and management. They will be able to review your situation to determine which of the numerous options available would best suit your financial needs. You may find that getting out of debt is easier than you once thought and, with the help of your lawyer, develop a plan to financial stability.